When she is greeted by the skittish household at Ashton Place, however, and confronted by the strange howling children who are scarcely clad, Penelope realizes it will take all her training, education, and her fond memories of books about wild ponies, to handle this task. She will not be deterred. Not by the children’s wild fervor over chasing squirrels. Not by the unusual names (Alexander, Beowulf and Cassiopeia) bestowed on them by Lord Ashton himself. When Lady Constance plans an extravagant Christmas party that the children must attend, Penelope puts aside her plans for geography and mathematics in favor of table manners and appropriate dinner conversation. If only she can figure out what the Schottische is and prepare the children for it, she might have a chance at keeping her job with the children she has grown to love. Not every governess is willing to take on three children who were raised by wolves. Literally. Now that they’ve been “rescued” from the forest by Lord Ashton, the children must be civilized and educated. 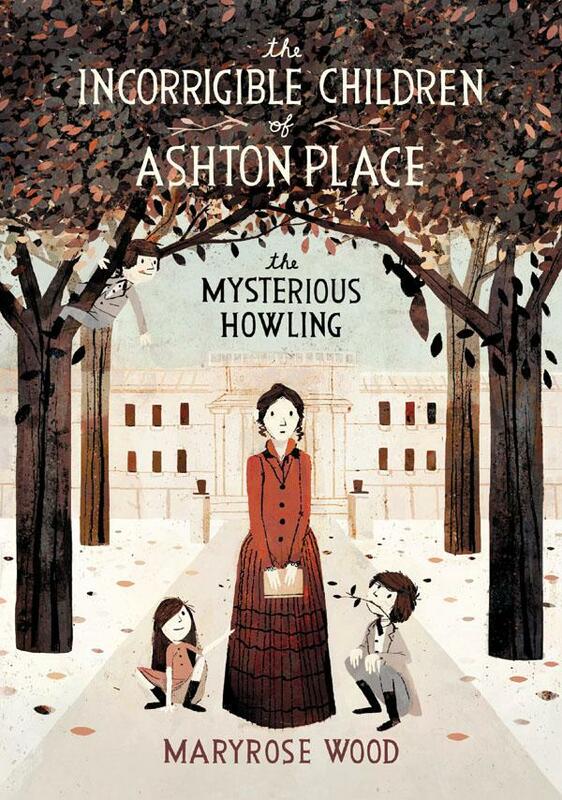 Penelope sets herself to the task and achieves often hilarious and endearing results in this first book in a series which has been described as a mash-up of Lemony Snicket and Jane Eyre. The Mysterious Howling is brilliant and fun. I read this book hoping to find a great audiobook to listen to on our family vacation. To my delight, I found it to be a wonderful story, one the entire family could enjoy. I found it impossible not to fall in love with Penelope and her three dear charges. The children make it appealing to a younger, more middle-grade audience, but because the tale is told from fifteen-year-old Penelope, it also appeals to teens. Those with challenging babysitting experiences may find it especially amusing. When the children become the center of attention at the Christmas party, Lady Constance copes by drinking too much champagne and falling asleep at the table. Tagged Governess, Humor, Maryrose Wood, The Incorrigible Children of Ashton Place, The Mysterious Howling. Bookmark the permalink.